The purpose of the work was to determine the possibility of rebuilding of the screw coils upper surface of a screw conveyors welded previously with chromium cast iron. The variant of surfacing directly on the residues of the hard layer and with the buffer layer was considered. The technology of hardfacing the coils after removal of the hardening upper layer and the technology of welding of new elements with the use of EnDOtec DO*390 powder wire has been developed to provide a NanoAlloy structure with boron nanocarbons in the iron matrix. I.A. 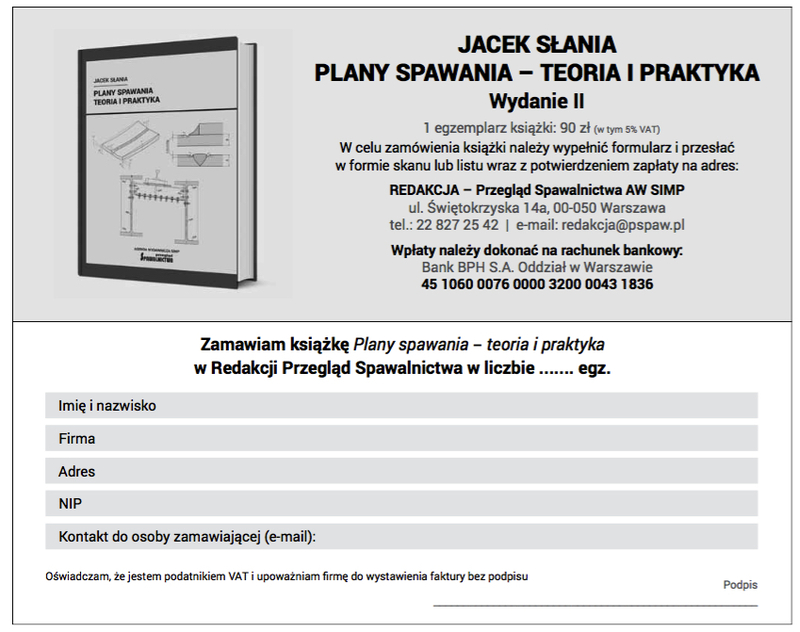 Riabcew, Strukturalna dziedziczność w procesach napawania, Przegląd Spawalnictwa (2011), vol. 83 (10), 50-55. И.А. Рябцев, И.К. Сенченков, Э.В. Турык, Наплавка. Материалы, технологии, математическое моделирование, Wydawnictwo Politechniki Śląskiej, Gliwice, 2015. W. Napadłek, A. Laber, Badania wybranych właściwości wysokodyspersyjnych napoin wytworzonych techniką laserową przeznaczonych na elementy maszyn o podwyższonej odporności na zużycie w warunkach tarcia, Tribologia (2010), vol. 41 (5), 21-36. A. Klimpel, T. Kik: Erosion and abrasion wear resistance of GMA wire surfaced nanostructural deposits, Archives of Materials Science and Engineering (2008), vol. 30 (2) april, 121-124.